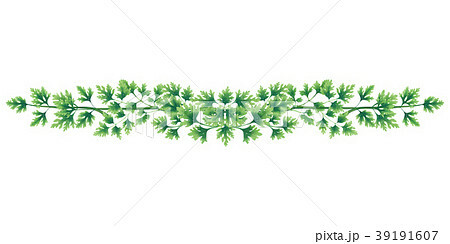 Illustration of green parsley vignette of leaves and branches. Garland for decoration. Bouquet isolated on white background.